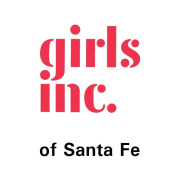 Girls Inc. of Santa Fe is looking for committed individuals to help us out with our community-based programs. Volunteers should be ready to have fun, be silly, and help inspire girls to be strong, smart, and bold! Our research-based programs are interactive and experiential, which means lots of hands-on excitement! All volunteer will be supporting our fantastic Program Facilitators and building important mentoring relationships with the girls. Anyone interested in volunteering will need to fill out an application, attend a tour, come in for an interview, pay for a $15 non-refundable background check, and attend a 2 to 3-hour training. Please call our Volunteer Coordinator, Julia Gay, at 505-982-2042, ext. 103 or email her at jgay@girlsincofsantafe.org. 1.5 hours a month up to 2 hours a week or more.